Colour print showing women's costume. 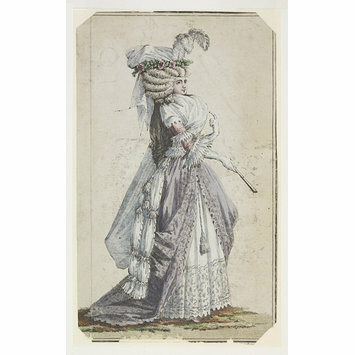 The print depicts a woman wearing a white and lilac dress, gloves, powdered wig and hat adorned with feathers and flowers. The woman is shown full-length, turned to the right and holding a fan in her right hand. 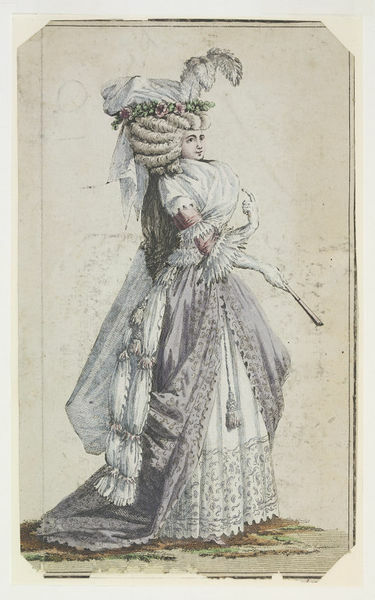 Fashion plate showing women's costume. Hand-coloured engraving, France, 1780s.